Department of Beaches and Harbors is increasing its efforts to deal with unlawful passenger-for-hire vessels. MARINA DEL REY ― Illegal charters continue to be a hot topic in Marina del Rey with members of the Small Craft Harbor Commission discussing the controversial boating activity at its Dec. 14 meeting. Staff from Los Angeles County’s Department of Beaches and Harbors (DBH) updated commissioners of increased efforts in addressing the issue. DBH staff and the harbormaster have contemplated performing a sweep or sting operation in hopes of weeding out illegal charter operation. The sting operation would entail someone posing as a customer and contacting charters to schedule a passenger-for-hire trip. Once aboard the vessel, the posing customer would check to see if the charter has its appropriate licenses and permits to run a passenger-for-hire business. Michael Rodriguez, DBH’s chief property manager, said he has been working with the Marina del Rey Convention & Visitors Bureau (CVB) to monitor charter services in the county-operated harbor. A number of charter operations have contacted CVB for advertising opportunities, according to Rodriguez. CVB provided the names of charters to Rodriguez, so he could check to make sure they have the appropriate leases and licenses. An amicable resolution was reached with the one charter in question, but Rodriguez said people are starting to get the message. “Word has gotten out that [DBH] is starting to look into the issue [of illegal charters],” Rodriguez reported. 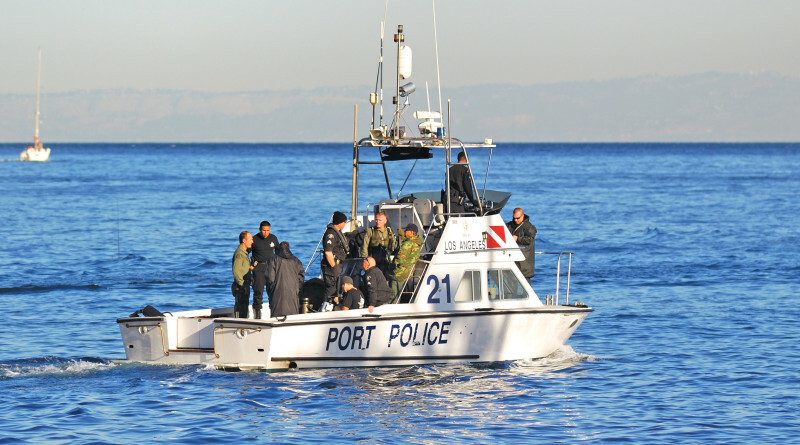 Those running an illegal passenger-for-hire vessel are trying to find a new place to operate, so they are coming to Burton W. Chace Park, according to Rodriguez. 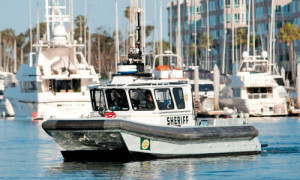 Illegal charters are an ongoing issue not only in Marina del Rey but also in all harbors. The problem persists when some of these illegal charters move from marina to marina. For example illegal charters were on the rise in San Diego, according to an Aug. 26 report in The Log. A few weeks earlier, The Log outlined the requirements a boater must follow to become a legal charter. The immediate plan for Marina del Rey is to keep boaters informed with better signage. Code enforcement will also be on call. County staff at Burton W. Chace Park has been instructed to contact code enforcement whenever they observe illegal activity in the harbor. Boaters caught operating an illegal charter could be cited by code enforcement. A citation by code enforcement comes with a higher fine than a violation issued by the Harbor Patrol. The treasurer tax collector also plans to update its codes to factor in illegal charter activity. Elliot Zimmerman, general manager of Bluewater Sailing, told commissioners his licensed sailing school should be able to use any and all of the docks in Marina del Rey. Zimmerman emphasized how his sailing school must be able to operate from the recreational areas in the marina. Capt. Alex G. Balian, owner and operator of Paradise Bound Yacht Charters, said the county must be careful in who it allows to operate a legal charter. “When a sailing school stands here saying that they want to use recreation docks, you have to know that they are also chartering,” Balian said. “When you charter on the side, you [not only need to have] insurance, but you must have licenses. You must have the water taxi vessel permit for each boat. You [also] need a commercial area to operate. Zimmerman challenged Balian’s take in a recent conversation with The Log. He added DBH and local businesses should not be worried about his sailing school but instead those who actively try to skirt the law. “There are people who are not approved by the Coast Guard or approved by the county and they are using their boats in a variety of illegal ways, such as offering captain services without a captain license,” Zimmerman said. One business not following the rules, Balian and Zimmerman allege, is Airbnb. Both claim the company operates a charter service in Marina del Rey without paying fees. There are “60 boats and 22 pickup sites,” Balian said. The commission asked for a written report and recommendations rather than just a verbal report at future meetings. Commissioners also suggested a task force be put in place at the start of 2017 to begin planning the sting operations. I love Dana Point Harbor. I have had two different boats in slips in the West Marina over the years, and enjoy the peace and quiet there. I hate to imagine what it would be like to come down to spend the day or overnight on my boat only to find the boat next to mine rented out to some partiers, or people with several kids running amuck and fooling with other peoples boats, unplugging their shore power, etc. ; Or, the inexperienced renter taking the boat out and ramming, damaging the slip and/or other boats; and, of course, nobody saw anything. It would create a nightmare. Agree 100% about the safety issues that arise from illegal charters and rentals of boats. Many people who just want to go out on the water have no idea the potential danger they take by using an unlicensed captain. So many of these boats are overloaded, or don’t have proper emergency equipment (life jackets, fire extinguishers, etc). In addition, the other boaters get very frustrated with the constant stream of people who do not understand boating laws, misuse or mistreat the facilities, and do damage to dock or other boats. This issue has gone on too long with little involvement from local agencies. It’s time to see some action, not just words about how it’s not allowed. Neither of the replies have much to do with illegal charters. In the instance of improperly equipped boats, they would still be so if operated by the owner. As far as the competence of the person who is using the boat, it may only be illegal if he/she is carrying passengers for hire. Both problems are solved the same way improper operation/use by owners is solved by the USCG. Stop and inspect, etc. I’ve been running a scenic tour and pleasure boat company out of Grand Haven, Mi for 12 years and I have all of the necessary licenses, insurances, etc so that I can run a legal operation. I have some “captains” brag to me about how much loot they are bringing in without having to pay all of the operating costs that I’m saddled with. The poor clients are the ones that will wind up paying the price. Last year one of the huge illegal, commercial tour ships over took me during a sanctioned race, intentionally crossed my bow, and swung his stern around and came within inches of crushing my boat. I attempted to fend off with my legs and was tossed across my boat, smashing my back against the opposite cockpit, badly injuring it and left me bed-ridden for a month. When I complained to the coast guard, they never got back to me. And when I called the Harbor Patrol, they blamed me for trying to fend off, as if it was my fault. So as far as I’m concerned, this article is a bunch of B.S. to try to frighten boaters. Reality rings hollow. All the county wants to do is eliminate docks and make boating affordable for the middle class. In my basin, Basin G, half the slips have been removed, and the rent has been jacked up 60% since last year, with another 5% increase “approved” and coming in less than a year. It’s the County Supervisors and their Developer supporters who need to be investigated.